BRITAIN: Labour Opens Door To Second Brexit Vote - Joe.My.God. 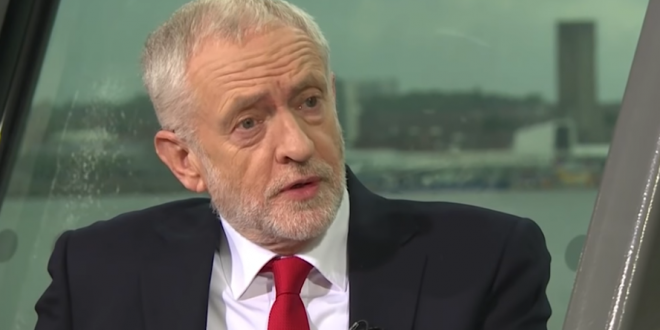 The U.K. Labour Party is calling for a vote in Parliament that could pave the way to a second referendum, raising the possibility that Brexit could be reversed. The main opposition party proposed an amendment to a government motion — due to be debated on Jan. 29 — calling for votes on various ways of avoiding a messy no-deal divorce. One of those options is a second referendum. The amendment is signed by leader Jeremy Corbyn, who has so far been equivocal about his support for a second referendum. If he does throw his weight behind another ballot — which is still to be confirmed — it could be decisive. About 10 Conservative members of Parliament are already campaigning for another plebiscite.